Everyday, hundreds of companies in Singapore rely on OpenSoft Payroll Software to speed up payroll processing. Complies with CPF, IRAS, MOM & more. Our payroll software is specifically designed for Singapore SME. Besides enabling businesses to speed up payroll processing, our payroll software is fully 100% compliant to IRAS, CPF, Bank GIRO, MOM & all the relevant statutory agencies’ requirements for auto submission. We have made OpenSoft Payroll intuitive that even users with little or no accounting background would have no issue mastering all the payroll features & functions. Opensoft payroll software is constantly being upgraded to comply with the latest statutory requirements and based upon feedback from users. This ensures that Opensoft payroll software is always relevant for the SME companies. Data backup is crucial for payroll operation. Our Opensoft Payroll Software will backup data automatically and backups can be kept for unlimited time period as required. The main financial reports are already included in the OpenSoft Payroll package. However, companies may also request for reports to be customised. OpenSoft Payroll supports single user, multi-concurrent users as well as unlimited users, hence suitable for small, medium and large enterprises. OpenSoft Payroll is priced affordably for any business to start with, and is upgradeable and scalable according to the needs of the business. In addition, grants are available to help companies to implement Opensoft Payroll. Contact us for more details. OpenSoft Payroll is compliant with the payroll regulations in Singapore. It incorporates computation of CPF, CDAC, MBMF, SINDA, ECF, SHARE, FWL, SDL National Service Pay, Monthly Variable Component (MVC), NWC and supports employee salary transfers (bank GIRO), payment of CPF contribution via CPF PAL-Internet or CPFLine, as well as IRASLine submission of Forms IR8A, IR8S and IR21. IT Infinity has a proven track record in supporting the diverse payroll requirements of SMEs. Don’t just take it from us. Check out what our customers are saying. OpenSoft Payroll is an easy payroll software that is designed to handle standard to complex payroll needs. It is compliant with the payroll regulations in Singapore. Many automation have been incorporated into our payroll software, such as computation and auto submission of CPF, CDAC, MBMF, SINDA, ECF, SHARE, FWL, SDL National Service Pay, Monthly Variable Component (MVC), NWC, employee salary transfers (bank GIRO), payment of CPF contribution via CPF PAL-Internet or CPFLine, and IRASLine submission of Forms IR8A, IR8S and IR21. Opensoft Payroll (Singapore edition) is a payroll software customised for Singapore’s corporate environment. Our payroll software is designed to be easy to use with the relevant remuneration components and contributions being pre-tagged for consolidation for the ease IRAS and CPF submissions. With OpenSoft payroll software, it is easy to generate itemised payslips for all your employees. The formats of itemised payslips meet the requirements stipulated by Ministry of Manpower. Itemised payslips are customised to the design of your organisation, and can be generated in hardcopy or digital formats. The payroll application has an incredibly intuitive and user-friendly interface, thus users with little or no accounting background could easily start running payroll functions immediately after installation. 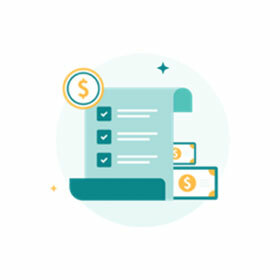 Our support team will closely support users throughout the initial period, so as to make sure that our client’s organization reaps the full benefits of the payroll software. Our aim is to simplify and automate the payroll processing of the HR / Finance department, hence reducing human errors and increasing efficiency for our clients. 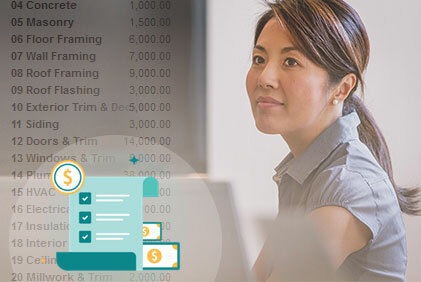 Most importantly, the payroll software is priced affordably for any company to start off, yet it remains inexpensive to scale up when the company’s operation expands. Unfortunately, no amount of good security habits can override the risk posed by using weak software for sensitive operations such as Payroll processing. Payroll data contains a lot of sensitive information of every employee (full name, identification number, address, age, salary, commission, bonus, bank account, tax ID, etc). That is why Opensoft payroll software has a built-in security feature known as Access Rights Controls which allows businesses to control who gets to access which type of payroll data. With our payroll software, access to sensitive data is on a need-to-know basis. OpenSoft Payroll system is designed with the Singapore companies in mind. It supports single user, multi-concurrent users as well as unlimited users, hence suitable for small, medium and large enterprises.